Now it is up to you to draw your hours according to your wish ! This design wall clock is really very original with a aluminium movement. 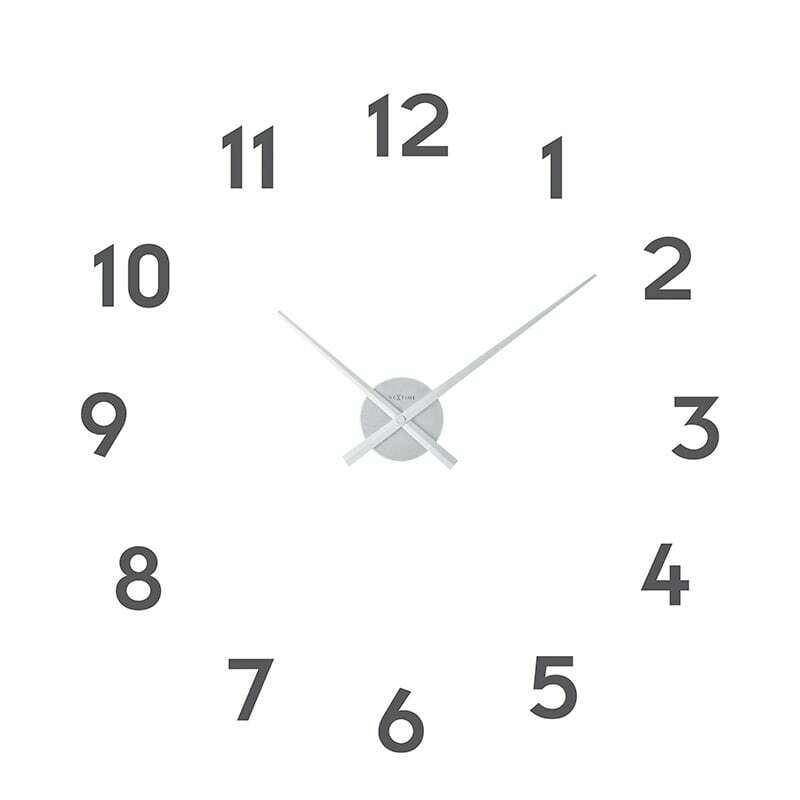 The dimensions of this round wall clock are 48 cm in diametre. 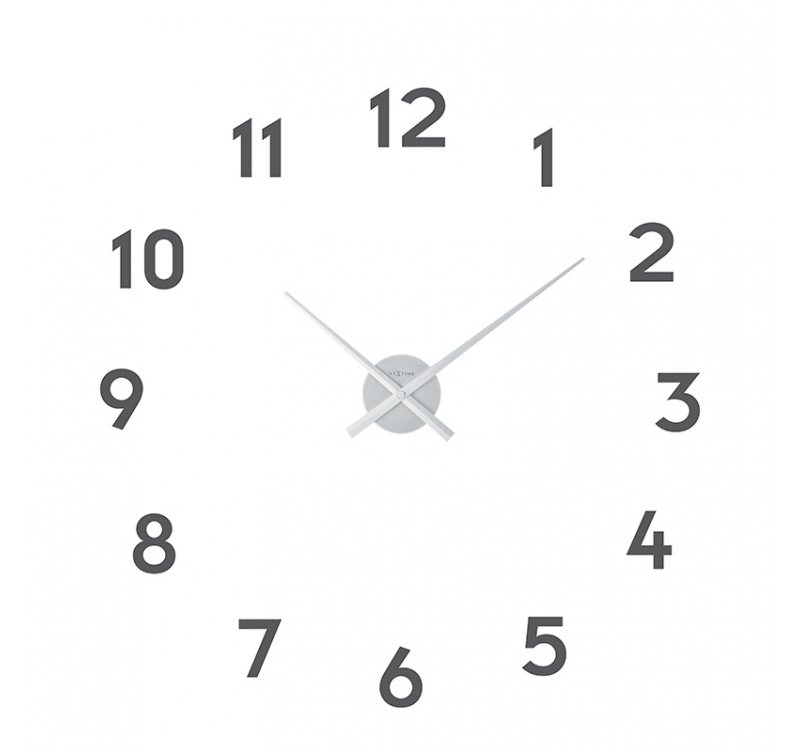 Free 48/72 h delivery in metropolitan France and Belgium for this modern wall clock. Choose this unique wall clock to compose yourself the original clock face. The round central movement and the hands are in silver aluminium and can be sufficient unto themselves if you wish to have a refined style with this design wall clock. You can place on the wall the included adhesive black numbers following your own whim. If you prefer being sober place them in a circle for a virtual face round your wall clock. 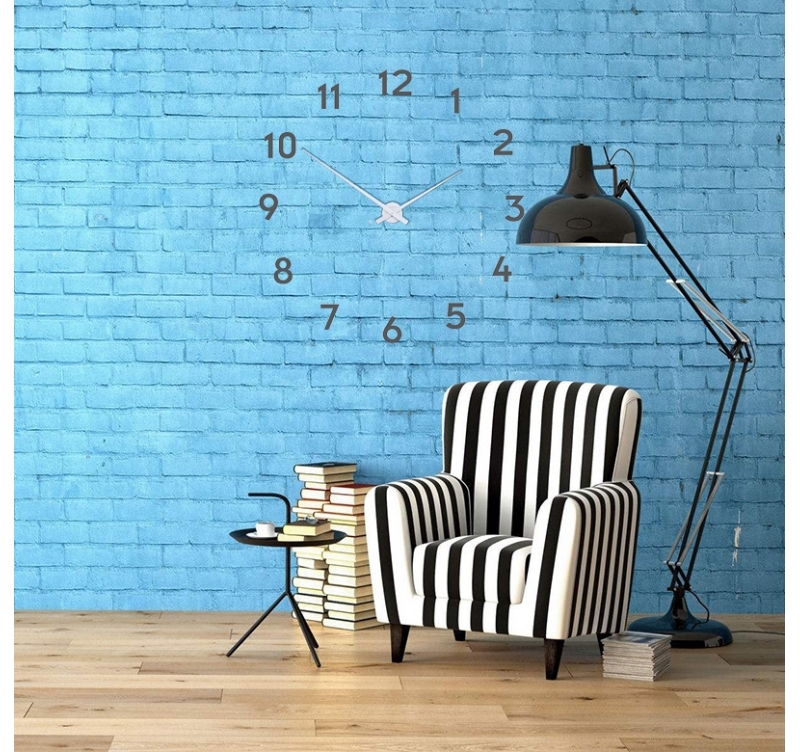 Your modern wall clock will be unique. The wall clock can also be found in black.